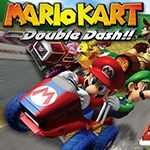 IGCD.net: Vehicles/Cars list for Mario Kart: Double Dash!! OMFG, how the hell Lantzs09 is still there?! RacingFreak wrote OMFG, how the hell Lantzs09 is still there?! Maybe he's a hacker.. Maybe HE was the one who hacked PSN. Very good game, also Toadette's first appearence. Do you accept the civilians cars? chrissoudu83 wrote Do you accept the civilians cars? I can replace the artwork with in-game pics, if you want! The "Star Travel" looks like a Nissan Diesel or Hino, but I can't identify the "Peach Beach" bus. Anyone have any ideas?